Above: The BoC's Poloz takes to the stage at 16:15 B.S.T. Image © Bank of Canada. The Canadian Dollar advanced against all of its rivals in the midweek session after the Bank of Canada (BoC) raised its overnight lending rate and provided a strong hint of further hikes to come. The Bank of Canada raised its main interest rate by 25 basis points to 1.75%, the third rate hike in 2018, in a move that was well telegraphed in advance and widely expected by the market. In response, the Pound-to-Canadian Dollar pair dropped to record a weekly low of 1.6787, which is also the exchange rate's lowest level since October 03. 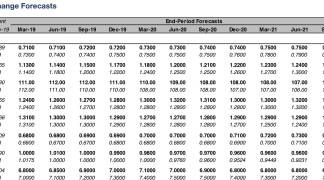 Key to CAD's rally was the BoC's decision to drop its commitment to raising Canadian borrowing costs only in a "gradual" manner and told markets the overnight rate will need to go all the way up to "neutral", which it estimates to be between 2.5% and 3.5%. "Governing Council agrees that the policy interest rate will need to rise to a neutral stance to achieve the inflation target. In determining the appropriate pace of rate increases, Governing Council will continue to take into account how the economy is adjusting to higher interest rates," the BoC says in a statement. "We will pay close attention to global trade policy developments and their implications for the inflation outlook." The "neutral" rate of interest is the equilibrium level at which rates themselves neither encourage nor restrict economic activity. It is not fixed at a particular point, policymakers do not know exactly where it is at any one point in time and so are left with little choice but to estimate where it might be. "That’s more hawkish than we see as the likely outcome, as we’re not as optimistic on the economy’s ability to weather that dose of tightening, and note that the Bank will still “take into account how the economy is adjusting”. But we’ll need the evidence of growth running no faster than 2% for the Bank of come around to our view," says Avery Shenfeld, chief economist at Toronto-headquartered CIBC Capital Markets. The USD/CAD rate was quoted 0.57% lower at 1.3007 following the announcement after falling close to 100 points, while the Pound-to-Canadian-Dollar rate was 1.02% lower at 1.6809. 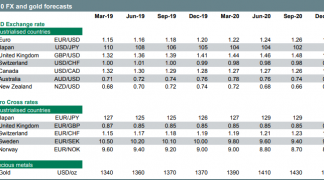 What really mattered for markets Wednesday is the BoC's signal about future rate rises has now opened the door to the possibility of another hike coming in December, rather than January or some other point in the first-quarter of 2019. 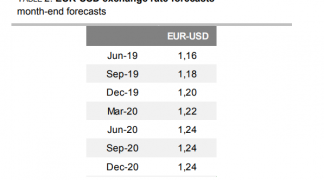 It also means the BoC wants to go on raising interest rates for a while yet, which will help markets to become more confident in pricing policy moves next year. Markets care about the BoC decision because of the push and pull influence that changes in rates can have on international capital flows, as well as their allure for short-term speculators. Interest rate decisions are normally only taken in response to movements in inflation. "Inflation is then expected to remain close to the 2 per cent target through the end of 2020. The Bank’s core measures of inflation all remain around 2 per cent, consistent with an economy that is operating at capacity," the BoC says. Canadian inflation fell to 2.2% in September, from 2.8% back in August, while all of the adjusted measures of inflation averaged out at exactly 2% for that month. That leaves inflation sat more or less at the BoC's 2% target so its statement on the so called neutral rate Wednesday may have taken the market by surprise. "Core inflation is the key variable for policy decisions, and despite the slight dip in September, the three main measures still averaged the BoC’s 2% target. As long as core data floats around this level, we expect further tightening in 2019," says James Knightley, chief international economist at ING Group. 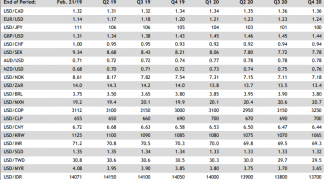 "We predict two hikes in 1Q19 and 3Q19, taking the policy rate towards the lower end of the BoC's estimate of the nominal neutral rate."